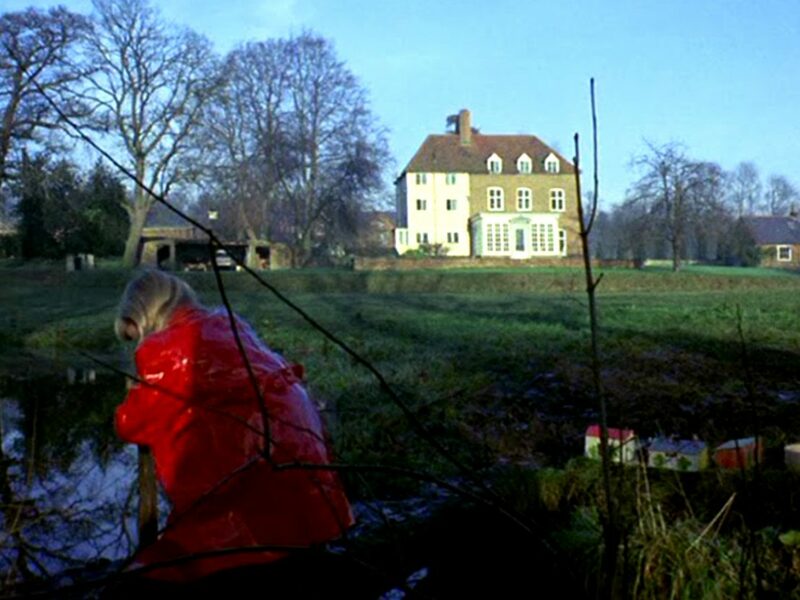 The private residence featured in Nicolas Roeg’s iconic ’70s horror remains an idyllic, evocative setting. Access to the following location was kindly agreed with the permission of the current occupants. 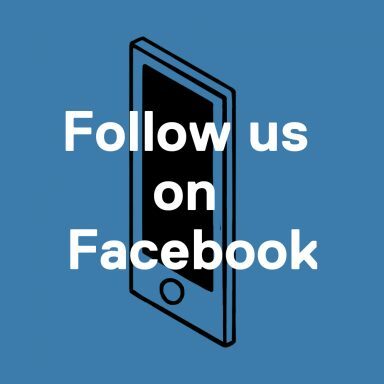 All information regarding the details of the location have been omitted to acknowledge their wish for privacy. This location should not be sought out or visited without prior consent. One of the first images that comes to mind when thinking of British cinema is a little girl in a red coat. She is in the large garden of a country house in wintertime, the grass damp and the leaves having long fallen to the ground. She is playing near a pool of water when her ball, vibrantly red like her coat, rolls onto its surface and drifts towards its centre. Her brother is riding a bike when its wheels ride over a shining piece of glass and shatters it. The girl drowns in between shots, fragmented like the broken glass; the parents becoming gradually aware of the unfolding tragedy happening while sat at the fireside. This opening has stayed with me ever since first viewing, that icy garden arguably defining a whole movement of innovative postwar British cinema. It is of course the start of Nicolas Roeg’s 1973 adaptation of Daphne du Maurier’s ‘Don’t Look Now’. Don’t Look Now charts the tragic story of John and Laura Baxter (Donald Sutherland and Julie Christie). Their daughter Christine (Sharon Williams) tragically drowns in a pond in their garden which leaves them grief-stricken. Seeking to escape the house and its bad memories, John takes a commission to restore a building in Venice, and the pair travel to Italy in the hope of rebuilding their lives as much as rebuilding the ancient church. Laura befriends a pair of elderly women (Hilary Mason and Celia Matania), one of whom claims to be psychic and who can supposedly still see Christine. The revelation slowly drives a wedge between the couple, with John eager to move on. 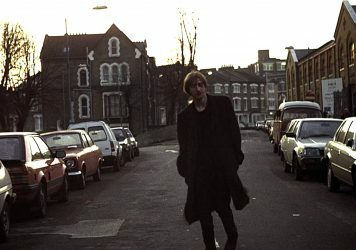 However, the ghost of their guilt soon manifests in the canals of the city as John is slowly haunted by visions of what appears to be his daughter, still wearing the coat she died in. But how are these visions connected to a spate of murders befalling the city and the strange coincidences matched by the predictions of the psychic? The opening location house and its adjoining sluice ponds is one of the strongest evocations of place in all of 1970s cinema. Roeg fragments the basic scenario of the girl drowning, filling the screen with visual motifs that come to mark the rest of the film. With Anthony B Richmond’s cinematography, the winter colours of the garden are rendered in beautifully crisp tones, littered with reds that play a huge role in the manifestation of guilt and sorrow when the film eventually jumps to Venice. Even though cut within the cascading rhythm of memory, the house in question is incredibly well-mapped and portrayed, as if seen through a flicker book of past and future hauntings. Roeg and Richmond explore the space beautifully, with the grounds seen variously in momentary, wide shots producing the quality of a child’s perspective. The house in question was owned by David Tree, a noted performer in prewar British film and theatre. He acted with the likes of James Mason and Wendy Hiller, and was directed by some of British cinema’s biggest names including Zoltan Korda and Anthony Asquith. The house was found by Roeg in a listing for film locations, the director later casting Tree as the headmaster of the film, Anthony Babbage, when realising his cinematic and acting heritage. It would be Tree’s final role in acting, devoting his time to his second career in farming and gardening that had occupied him since he married in 1946. Such tranquillity, however, belies the problems that beset the crew in filming this short segment. With Sharon Williams becoming agitated and unworkable due to her fear when being submerged, the majority of the underwater sequences eventually required the use of a water tank, and a number of girls were used for completion of the sequence. Graham Clifford’s innovative editing more than masks the shift between real and fake, however, creating a heady, unfolding nightmare. 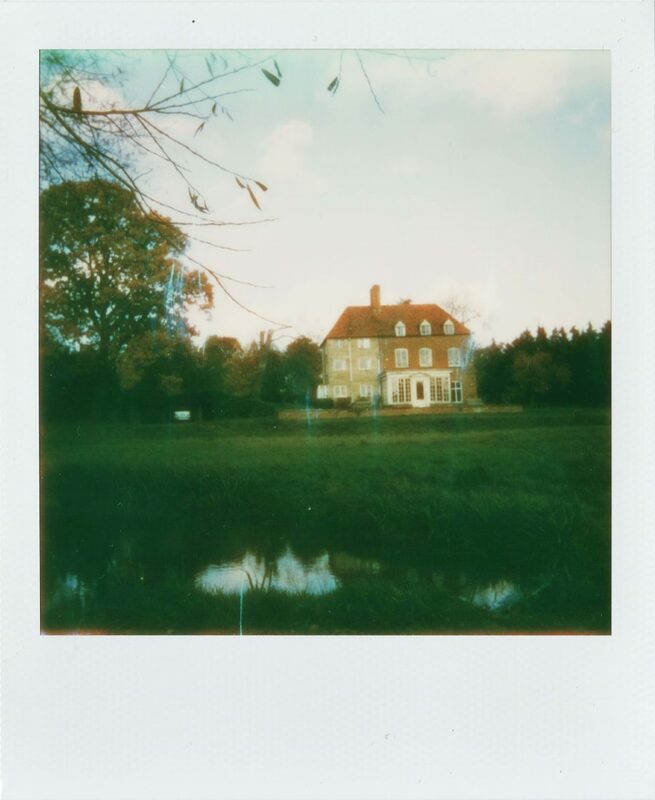 I make the journey to just outside London where the house still sits today. The late autumn light shares more than a passing resemblance to that of the film, which was shot at roughly the same time of year in December 1971. The current occupants pick me up and we travel together to the house. Meeting family members who witnessed the filming of the sequence, it’s clear that Don’t Look Now had more of an effect then merely scares and entertainment. For the few days that the film crew were at the farm, Donald Sutherland joined in with family life. They were captivated by the event of a cast and crew descending upon their home, and with one of the daughters inspired to go into the film industry, it is clear that the experience had a profound effect. As we sit in the kitchen talking and looking out over the garden, I spy several ladybirds walking along the white-painted window frames; bright red still quietly haunts the house. I’m shown around some of the rooms used in the film: the living room where Sutherland and Christie are dangerously distracted by their work, the kitchen that Sutherland runs frantically through when realising something is terribly wrong. Then we head down to the famous sluice pond, and I try to figure out the exact angle from which we see Christine leaning ever more dangerously towards the water from the small wooden footbridge. One aspect that becomes more obvious upon seeing the house is how its design itself had potential links to Sutherland’s character, confirming Roeg’s decision for the location. With half the house collapsing many years ago, it was partly rebuilt in a differing material. As Roeg has pointed out in previous interviews, it was the perfect house for John who was clearly a man plagued by uncertainty; a man who could never decide whether to live in a house made overtly of bricks or wood, opting instead for one made of both. Such a subtle detail suggests the level of thought that the director went into when considering even the most basic aspects of his filmmaking. 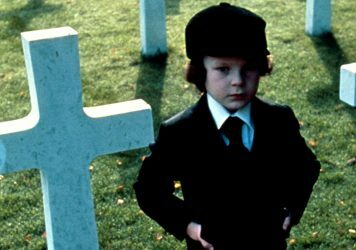 But Roeg ultimately found what he was looking for in this idyllic household, perhaps somewhat ironically considering that he made it the site of the family tragedy that haunts one of his most melancholic films. Despite the widespread gentrification of east London, this quiet street appears much as it did in 1993. 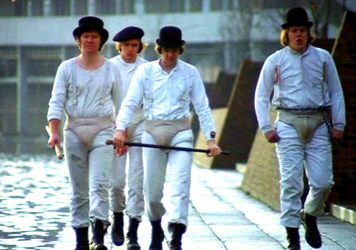 Visiting the southeast London estate featured in Stanley Kubrick’s 1971 film makes for a dystopian experience. Visiting Guilford Cathedral, the grand, eerie centrepiece of Richard Donner’s horror classic.